This week for Take a Stitch Tuesday we have the Butterfly Chain. 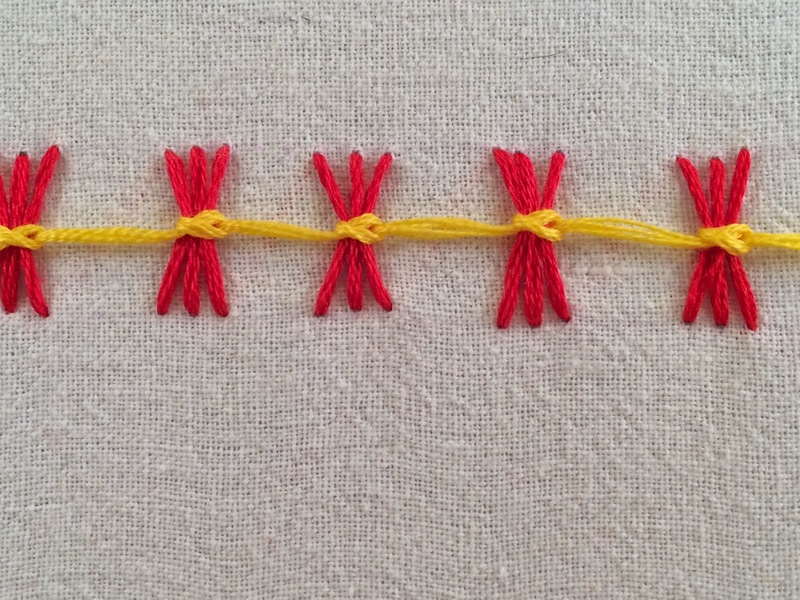 I might declare this my new favorite stitch. 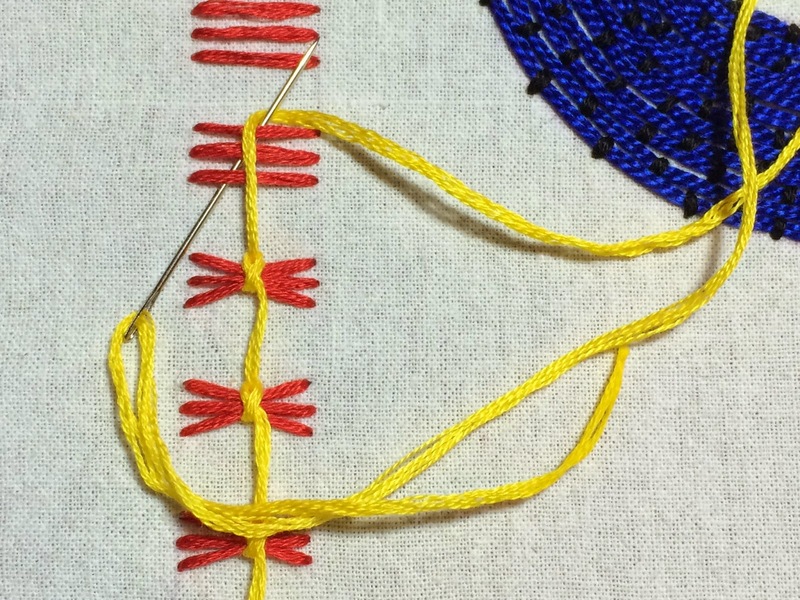 It is so much easier than it looks and is really quick to stitch up. First, stitch a row of straight stitches in groups of three (or more). 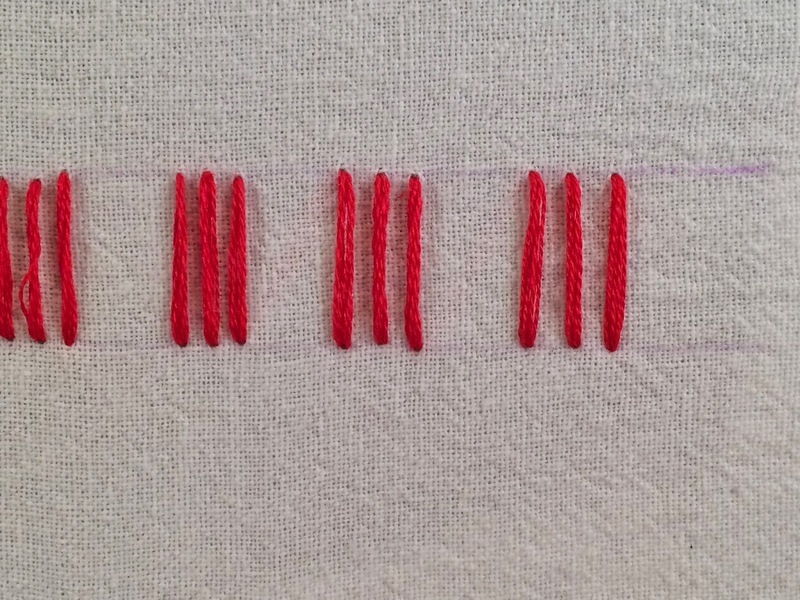 I drew two parallel lines to keep my stitches around the same length and tried my best to keep equal distance between them. But you don't have to be perfect! 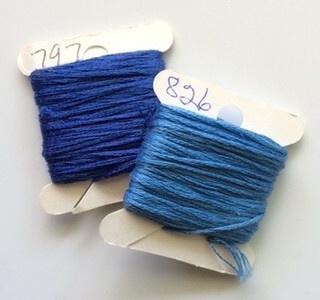 Then, bundle the straight stitch groups using twisted chain. To really understand how to do this part, I followed this tutorial. 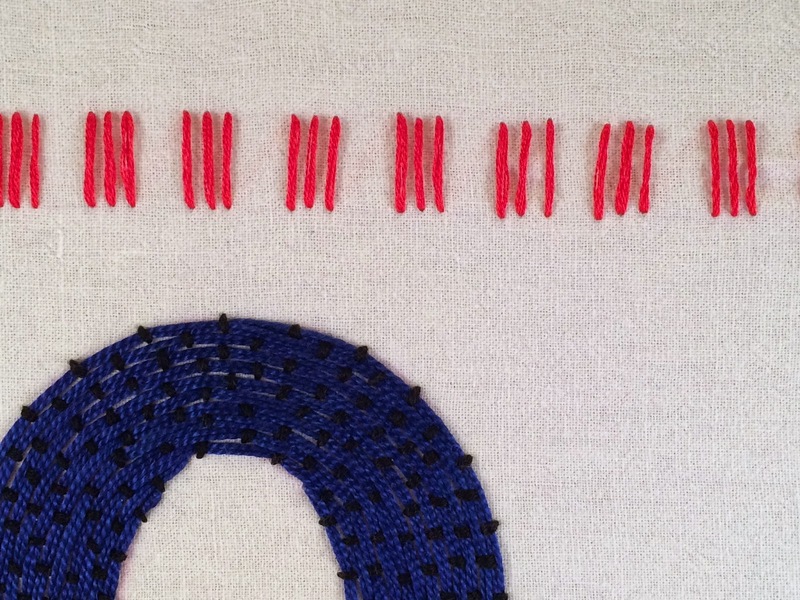 I used the butterfly chain stitch on my last embroidery for the Pi Project - more photos on that in this post. See you next week for the next Take a Stitch Tuesday! Lovely blog! I just found it during the GYB party and am now following. I mainly do cross stitch, but have recently gotten back into embroidery a bit. 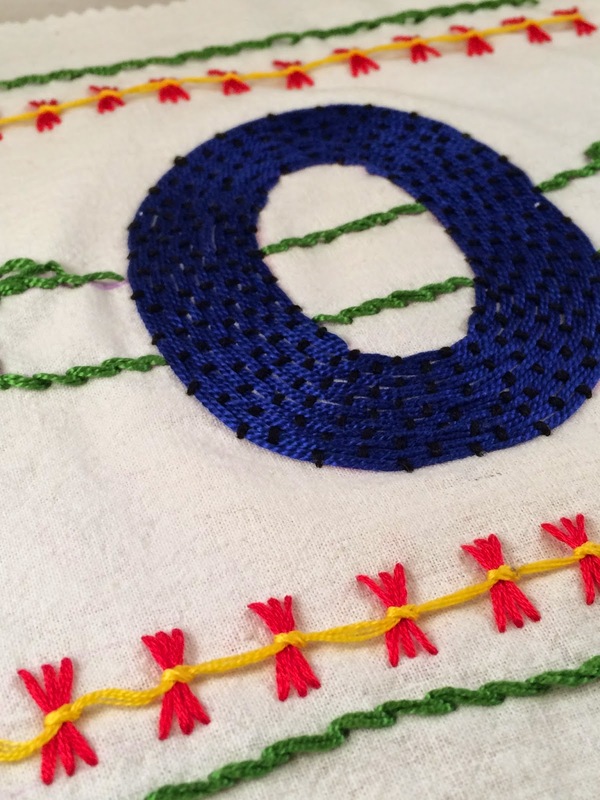 You do really pretty work and your photos are great for learning stitches! Embroidered Flower Lady - Start to Finish!